Lead and cadmium in chocolate? Oh, my! As You Sow, a California-based consumer advocacy group, believes that some chocolate has more lead than necessary. An updated survey released by the group this week found levels of lead in chocolate at nine times the daily amount that California considers safe to avoid reproductive harm. In addition, the group also found cadmium up to seven times the state’s maximum daily exposure. Water makes physiological processes, especially the brain, work better, so getting enough is important. 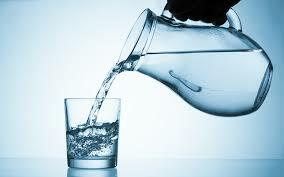 Whatever measure you use – a gallon a day, half your body weight in ounces, until your pee is clear – most of us don’t drink enough, and we need extra to make up for sweating, diarrhea, etc. Some of the most fascinating revelations in science these days are coming out of the study of microbes living in our guts. It turns out that we are only 10 percent human: for every human cell that is intrinsic to our body, there are about 10 resident microbes — including commensals (generally harmless freeloaders) and mutualists (favor traders) and, in only a tiny number of cases, pathogens. To the extent that we are bearers of genetic information, more than 99 percent of it is microbial. And it appears increasingly likely that this “second genome,” as it is sometimes called, exerts an influence on our health as great and possibly even greater than the genes we inherit from our parents. But while your inherited genes are more or less fixed, it may be possible to reshape, even cultivate, your second genome…. A similar experiment [to one performed on mice] was performed recently on humans by researchers in the Netherlands: when the contents of a lean donor’s microbiota were transferred to the guts of male patients with metabolic syndrome, the researchers found striking improvements in the recipients’ sensitivity to insulin, an important marker for metabolic health. Somehow, the gut microbes were influencing the patients’ metabolisms…. Our resident microbes also appear to play a critical role in training and modulating our immune system, helping it to accurately distinguish between friend and foe and not go nuts on, well, nuts and all sorts of other potential allergens. Some researchers believe that the alarming increase in autoimmune diseases in the West may owe to a disruption in the ancient relationship between our bodies and their “old friends” — the microbial symbionts with whom we coevolved…. Yet whether any cures emerge from the exploration of the second genome, the implications of what has already been learned — for our sense of self, for our definition of health and for our attitude toward bacteria in general — are difficult to overstate. Human health should now “be thought of as a collective property of the human-associated microbiota,” as one group of researchers recently concluded in a landmark review article on microbial ecology — that is, as a function of the community, not the individual. They don’t take probiotic supplements. They eat a variety of plant foods — fruits, vegetables, and whole grains. They eat more “prebiotics” that encourage the growth of good bacteria — fermented foods like yogurt, kimchi, and sauerkraut. They let their children play in the dirt and with animals. They eliminated or cut back on eating processed foods. They avoid (and help their children avoid) taking antibiotics whenever possible. Also, they are aghast at the number of Caesarian-section births occurring and recommend vaginal delivery if at all possible, as a means of “inoculating” newborns with their mothers’ bacteria, thus seeding their own gut microbe, enhancing their immune systems, and perhaps giving them an edge on health in other ways. One of the scientists’ wives gave birth by C-section, and they used cotton swabs to transfer vaginal secretions to the newborn’s skin. For the same reason, they highly recommend breast-feeding over using infant formula. I began to see how you might begin to shop and cook with the microbiome in mind, the better to feed the fermentation in our guts. The less a food is processed, the more of it that gets safely through the gastrointestinal tract and into the eager clutches of the microbiota. Al dente pasta, for example, feeds the bugs better than soft pasta does; steel-cut oats better than rolled; raw or lightly cooked vegetables offer the bugs more to chomp on than overcooked, etc. This is at once a very old and a very new way of thinking about food: it suggests that all calories are not created equal and that the structure of a food and how it is prepared may matter as much as its nutrient composition. This is one of the most fascinating areas of science, with implications that touch everyone, because everyone eats, and it is beginning to look like achieving good health is not as out of reach for many problems as was long thought. I will definitely be posting more on this.